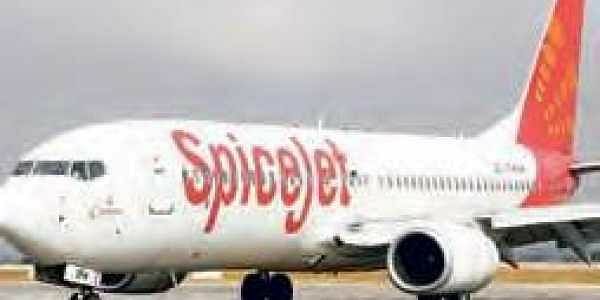 A SpiceJet flight with 74 passengers and crew, bound for Hyderabad from Rajahmundry, made an emergency landing at Gannavaram airport on Sunday, following a technical snag. VIJAYAWADA: A SpiceJet flight with 74 passengers and crew, bound for Hyderabad from Rajahmundry, made an emergency landing at Gannavaram airport on Sunday, following a technical snag. The SpiceJet SG 1602, the direct flight to Hyderabad, took off at 12 noon at Rajahmundry and was scheduled to reach its destination at 1:10 pm. But suddenly it was diverted to Gannavaram airport after it developed a technical problem. Speaking to Express, G Madhusudhan Rao, Director of Gannavaram Airport, said, “The flight takes off at Rajahmundry at 12 noon and reaches Hyderabad by 1:10 pm. The same flight flies from Hyderabad to Vijayawada by 2:40 pm and from here it again goes back to Hyderabad by 5 pm. However, due to the technical snag, the plane was diverted to Gannavaram airport. We arranged accommodation for those passengers who wished to stay for a while and we also arranged alternative transport service by road. All the passengers were safe and they left the airport by 4 pm. Since the SpiceJet flight is inoperable for the day, a special flight was arranged to fly the passengers from Vijayawada to Hyderabad, he said.